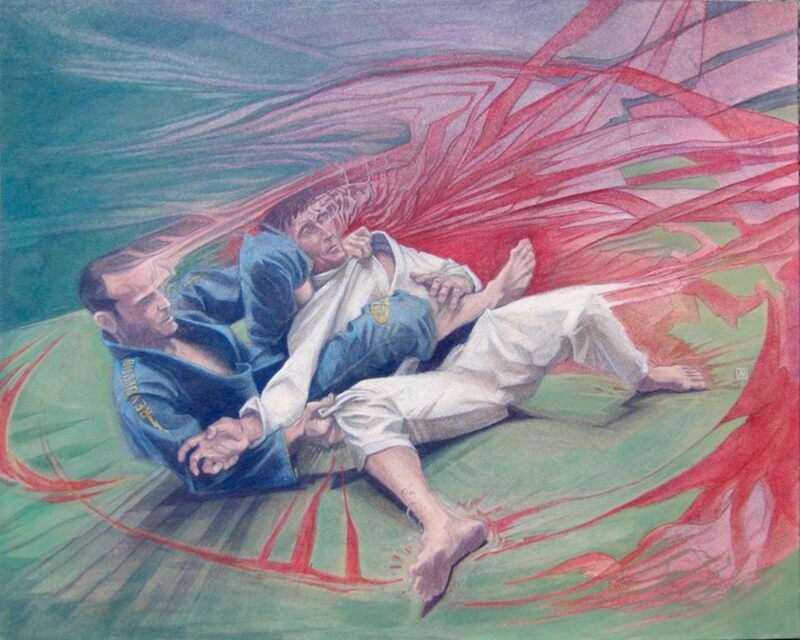 The back mount (or rear mount, or just plain "the back") is already feared as perhaps the toughest position to escape from in all of BJJ, and certainly the one in which your partner is most likely to finish you (at least according to common wisdom). When you add the devastating upper body control that comes with the "harness" grip, it's an even more dire situation. The skateboard escape doesn't work. The "crunch and turn" movement is all but impossible with someone completely glued to your back. Waiting for them to go for a bow and arrow choke and then working an escape is an option, but it really, really shouldn't be your first one. The underhooking arm in the harness (sometimes also called the "seat belt") completely shuts down any sort of sinking escape, and turning into the choke is all but impossible. This leaves one solid route to start the escape: the stack. Start by driving your weight straight up the middle, effectively minimizing any side to side motion by your partner's hips (if you think about how you'd like to finish from the back, 90% of your options are going to involve moving your hips to the side, so reverse engineer the shutdown). From here, you're going to need to address the "choking arm" (the arm that's over the top, but hopefully isn't choking you just yet—more on this below). Start the arm passing motion by pushing up on their elbow with the palm of your hand (it's okay to grip the gi here as well), while controlling their wrist with your left hand (let's go ahead and assume they have their right hand over the top, as in the video). As you lift their elbow up, it's important to dip your head down and to the right. Once your head has managed to dip down and over to the other side of your partner's "harness" control, it's important to switch your grip to an "arm drag" style of controlling the arm, gripping with all five fingers on the inside of the bicep with your left arm. If they try to come up right away, you might be able to establish a deep half position. 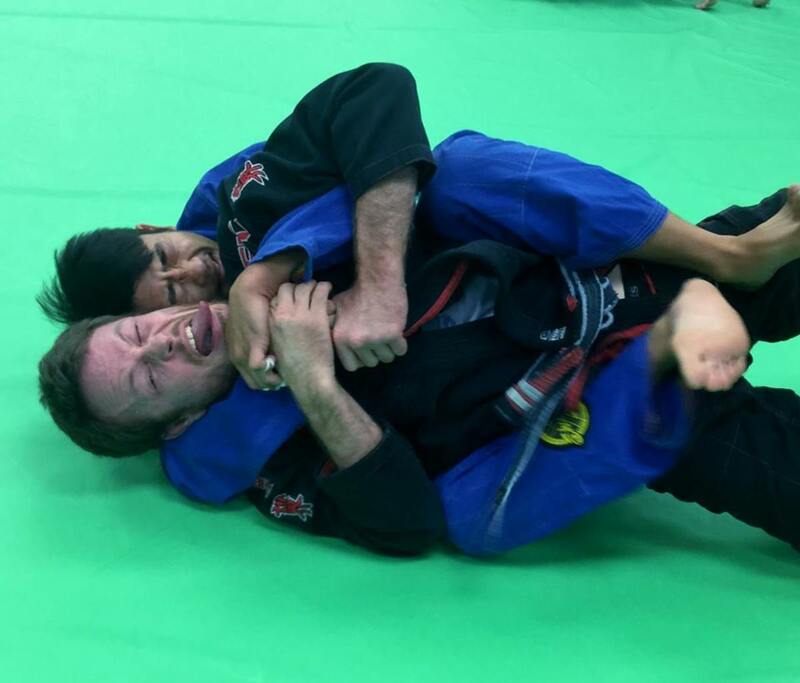 The single wing choke, or kata ha jime, is going to be pretty common when your partner has a harness grip. Fortunately, the basic mechanics at the beginning are just the same as with the typical seat belt escape. Start by stacking your partner right away, with one additional detail: make sure your partner can't lift your elbow up or away from your body (the arm they're underneath). Reaching across and gripping the sleeve of the choking arm may be helpful here (once again, reverse engineering what they're trying to do to you in order to finish the choke is very helpful). From here, once you execute your "head dip" as before, you can just start sliding off to the side, keeping your back on the mat. In this video example, my partner elects not to try to come up on top, and as a result, I come up on top in side control, a classic finish to this method of escaping the back. A word of caution: if your partner tries to come up on top to mount, you've got to be ready with your free right arm to stop the advancing leg. 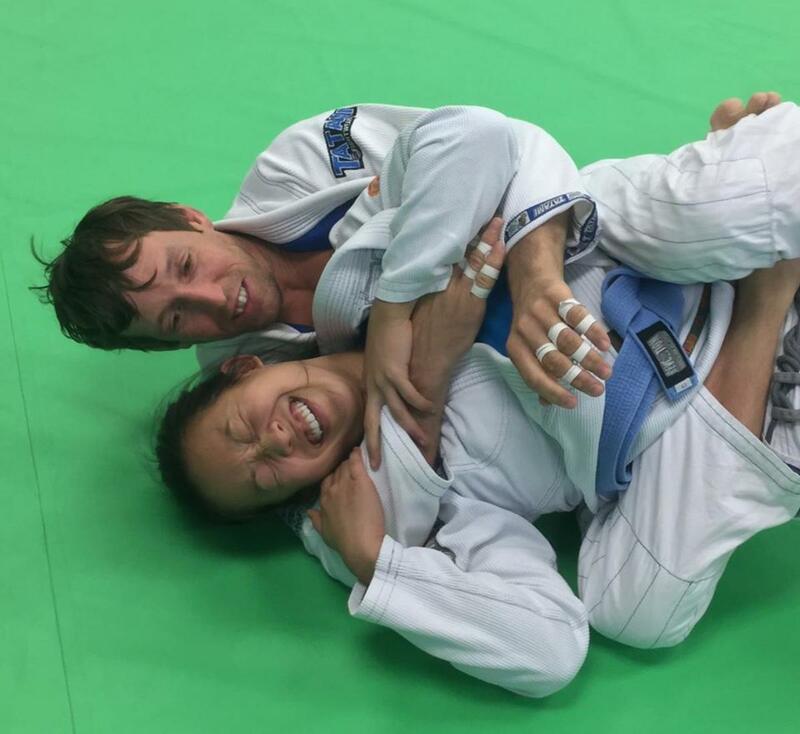 If you can redirect their hips away from you, you can stay on top and even end up in side control. You're going to have to practice the core movement involved with this escape a great deal in order to become comfortable with escaping this terrible position. After that, you'll need to put yourself in the position while rolling against people at or below your level, so your likelihood of pulling it off live is pretty decent. Once you get that down, you're ready to try escaping against someone who normally has your number—just be ready to tap! Tapping is, after all, learning, as cliched as that might sound. Most of all, have fun trying this stuff out, and as always, please let me know if this stuff works for you!